MADISON, Wisc. 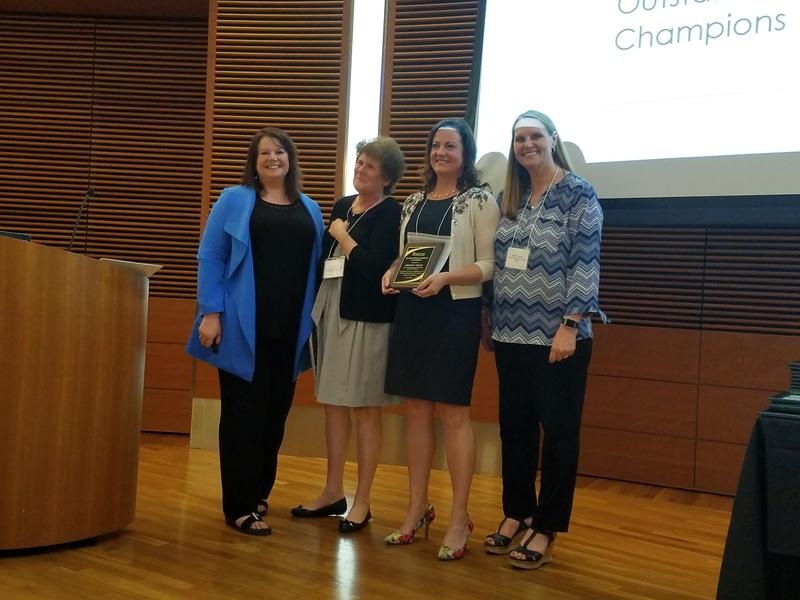 – May 31, 2018 – Pat Schramm, CEO for the Workforce Development Board of South Central Wisconsin (WDBSCW), was presented with the Outstanding Pathway Champion award at Madison Metropolitan School District’s Partner & Student Recognition Program last Thursday. The Outstanding Pathway Champion award recognizes partners who go above and beyond to support Personalized Pathways work. The event honored business, community and postsecondary partners of Madison Metropolitan School District who helped in the success of Personalized Pathways. Schools nominated partners for three awards – the Outstanding Experiential Learning Host, the Outstanding Experiential Learning Champion and the Outstanding Pathway Champion. “Pat [has] been instrumental in connecting all of us here this evening and ensuring that our pathway work moves forward in a way that seamlessly brings together business, community and postsecondary partners on behalf of all students and staff. Pat […] your support, encouragement and ongoing efforts are appreciated,” said Sherrie Stuessy, Experiential Learning Coordinator at Madison Metropolitan School District. Personalized Pathways help students determine their future by allowing them to explore various industries and connect schoolwork to their future. Students receive help graduating and building a postsecondary plan that leads to an industry-recognized credential.